AURORA, Ill. (WLS) -- Two men are charged with burglarizing and damaging a school in Aurora on New Year's Eve. 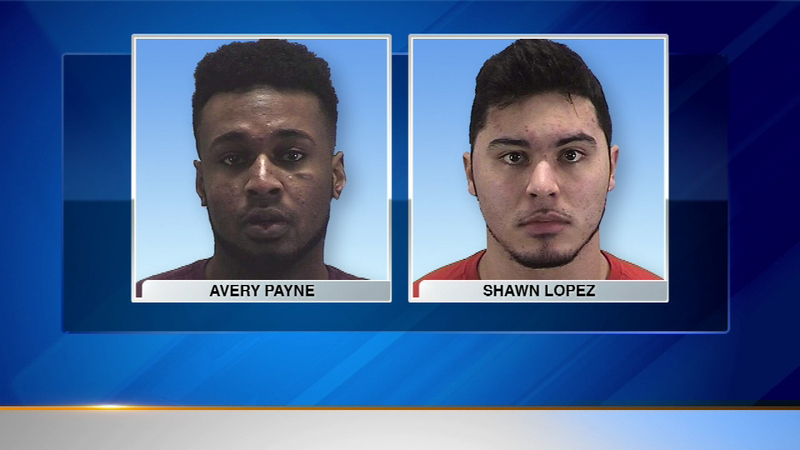 Police say Avery Payne, 21, and Shawn Lopez, 21, got in through a door that was accidentally left open at Aurora Christian School and took a laptop computer, as well as athletic shoes and shorts. The suspects were arrested after Aurora police posted surveillance photos on their Facebook page.